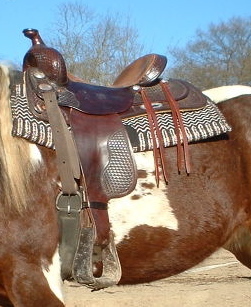 The word cowboy comes from the Spanish word vaquero. 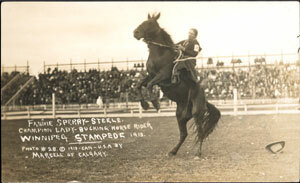 They sometimes participate in rodeos. Movies about cowboys are often called western movies. 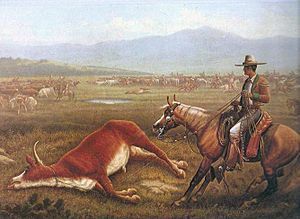 In addition to the Mexican vaquero, the North American cowboy, and the Hawaiian paniolo, the Spanish also exported their horsemanship and knowledge of cattle ranching to the gaucho of Argentina, Uruguay, Paraguay and southern Brazil, the llanero of Venezuela, the huaso of Chile, and, indirectly through the Americans, to Australia. In Australia, which has a large ranch (station) culture, cowboys are known as jackaroos and cowgirls as jillaroos. On the ranch, the cowboy is responsible for feeding the livestock, branding or marking cattle and horses, and tending to their injuries or other needs. They also move the livestock to market. In addition, cowboys repair fences, maintain ranch equipment, and perform other odd jobs around the ranch. These jobs vary depending on the size of the ranch, the terrain, and the number of livestock. 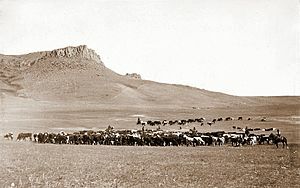 On larger ranches, or on those with lots of cattle, a cowboys may specialize in one task or another. 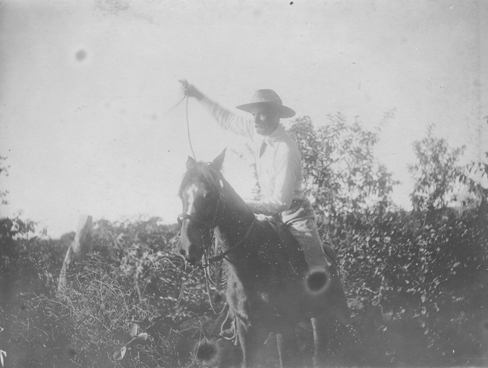 On smaller ranches with fewer cowboys or often just family members the cowboy tends to be a generalist employed in many tasks. 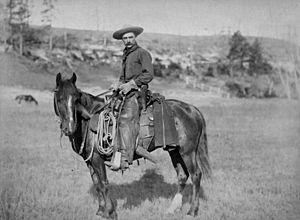 The long history of the West in popular culture tends to define those wearing Western clothing as cowboys or cowgirls whether they have ever been on a horse or not. This is especially true when applied to entertainers and those in the public arena who don Western wear as part of their persona. Cowboy Facts for Kids. Kiddle Encyclopedia.